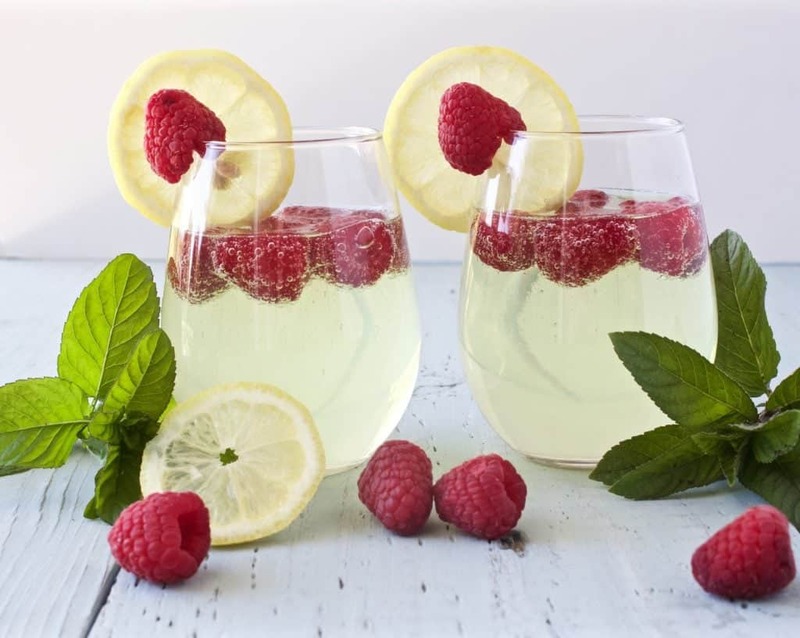 Our Delightful lemony limoncello prosecco drink is beautiful for any gathering. The perfect addition to a bridal shower, birthday party or wedding event! Delightful and light lemony limoncello prosecco. Perfect for entertaining! This is the year of lemons for me. Have you ever had one of those situations where you don’t like something and then all of the sudden your tastebuds change and you can’t get enough? that’s what happened to me with lemon.I want lemon everything this year! so far, I have had Mom’s delicious lemon bars, my lemon cupcakes, the lemon rose cake, and now this awesome lemon drink. I have never had Limoncello before, It’s essentially a simple syrup made into a liqueur from fresh lemons. Holy yumminess! it is absolutely bursting with fresh lemon flavor. The Prosecco and Limoncello together offer a gorgeous sparkling drink; light and bubbly with fresh lemon flavor. It kind of tastes like lemon drop candy mixed with light white wine with fresh burst of raspberry. Divine! 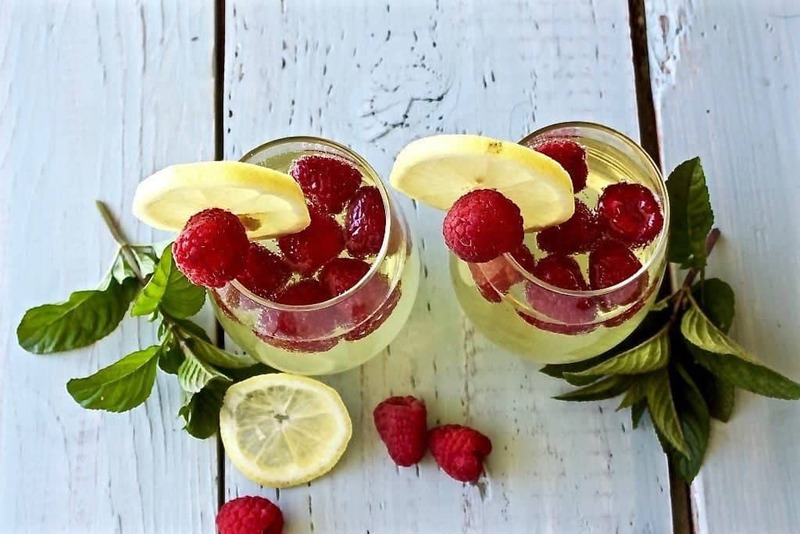 Delightful lemony limoncello prosecco drink that is beautiful and perfect for any gathering. This drink is the perfect addition to a bridal shower or wedding event! I really like how fast this drink comes together. 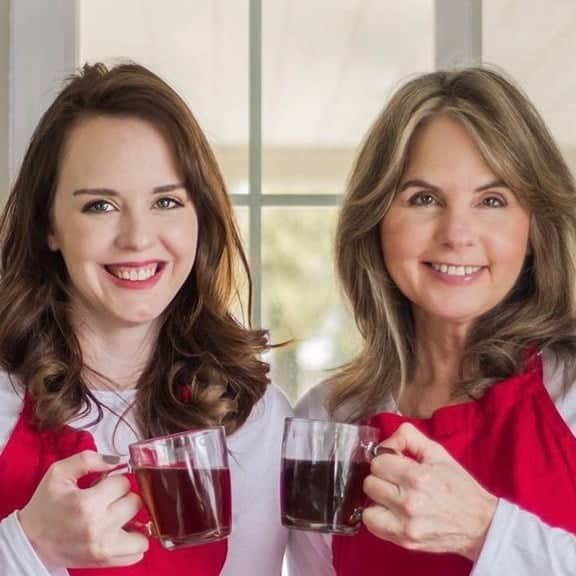 You can make it either in an individual drink form, or you can make a pitcher of it for a large gathering. I will warn you, this drink will make you a little toasty! Limoncello Prosecco offers quite the punch! I was surprised how tipsy I was after 1 glass of this luscious lemon drink! My Printable recipe is for an individual serving. It uses the 750 ml Caravella Limoncello and 750 ml Cupcake Vineyards Prosecco bottles. (these are not affiliate links). Follow the directions in the printable for each serving. NOTE: I topped the drink with frozen raspberries. The frozen berries make this drink especially beautiful and yummy! 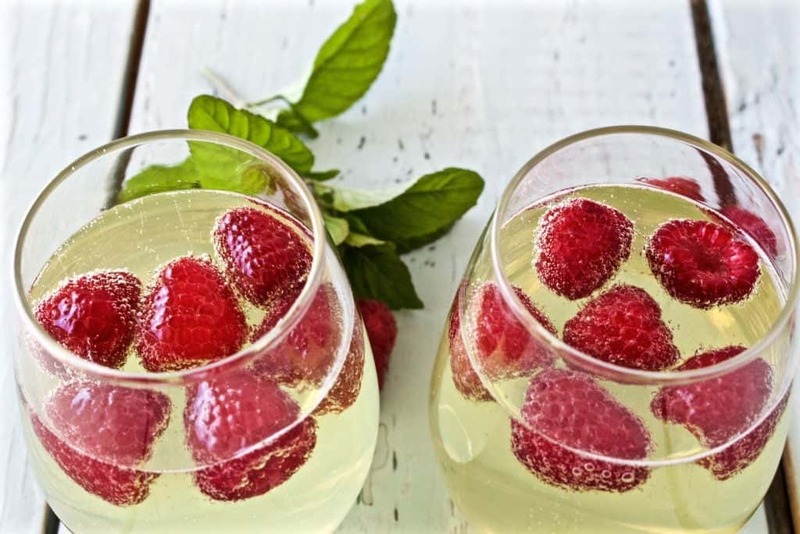 Also Frozen raspberries replace ice cubes so your drink will stay cool and not dilute! You will need to increase the raspberry proportion for the number of servings you are making. Garnish immediately before serving to cool the drinks. Use 1/3 bottle of limoncello to 1 bottle of prosecco. This will yield approximately 6- 5 oz.servings. For every 20 servings- use ONE 750 ml bottle of Limoncello to THREE 750 ml bottles of VERY sweet Prosecco. This will yield about 20-5 oz.servings (Champagne Flute). 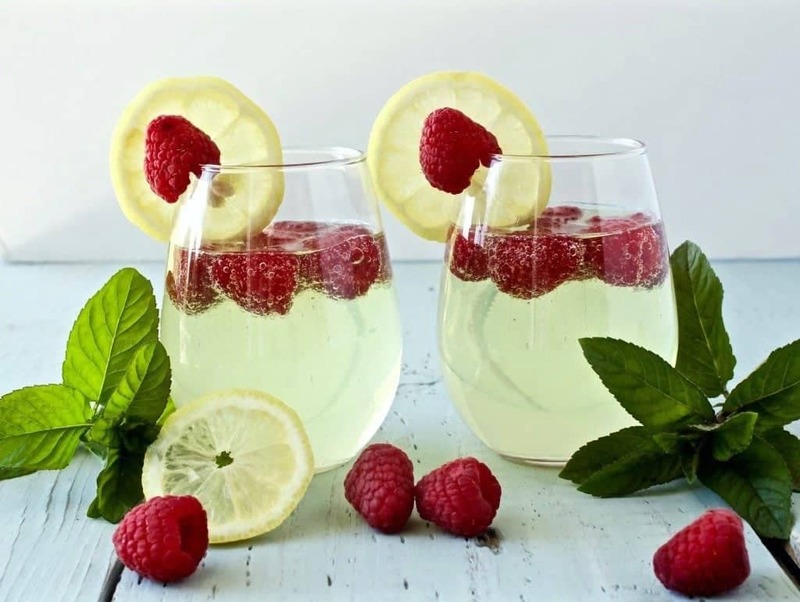 You will need 20 lemon slices and several frozen raspberries per glass as well. 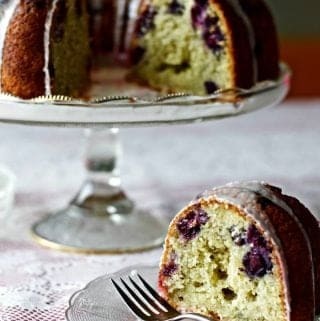 NOTE: You can make this recipe in a punch bowl. HOWEVER, the wine is sparkling. It will go flat if not consumed fairly quickly. Make the batch close to serving time for the best results. Simply fill a champagne flute or wine glass with 1/2 cup to 1 cup of prosecco. Add in 1 shot of limoncello to the drink. If you are making a large glass I would add a shot and a half. I put 4 frozen raspberries into the drink to finish it off. Pinned and tweeted, Diane! 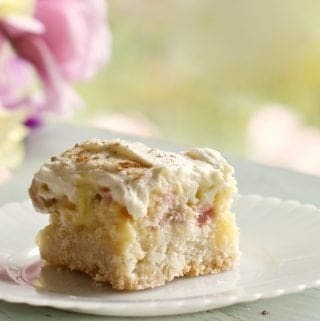 What a beautiful way to use limoncello, one of my favourite treats! want to try the limoncello prosecco in large batch for a wedding. I was a little unsure of the proportions. It said 1/3 limoncello to 1 bottle of prosecco, but what is the 1/3…is it 1/3 bottle, 1/3 cup? Don’t want to mess it up! Thanks in advance! Hi Elizabeth, Thank you so much for your question. We wish you all the best with your wedding! 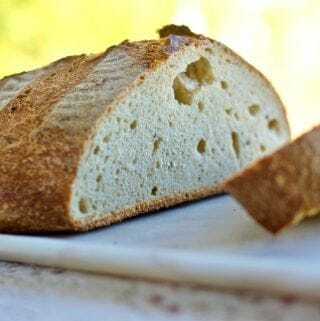 Here is the proper conversion of the recipe for you for large batching this recipe. I copied this into the post for future reference. Use 1/3 (750 ml) bottle of limoncello to 1 (750 ml) bottle of prosecco. This will deliver approximately 6- 5 oz.servings. For every 20 servings-Large group use ONE 750 ml bottle of Limoncello to THREE 750 ml bottles of VERY sweet Prosecco. This will yield about 20-5 oz.servings (Champagne Flute) if you follow the directions in the printed recipe. This should also work in a punch bowl. Be careful though not to make it too far ahead in a punch bowl; or the sparkling wine will go flat. You will need to of course increase the raspberries in proportion to your needs as well. All the best. Congratulations! WOW! These sound out of this world Diane!!!! 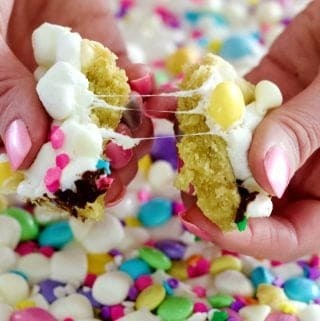 I need to try these immediately! Thanks for sharing! I love this and the photo is stunning! What a refreshing drink for summer! Found your blog through the #TryABiteTuesday link up! I so heart limoncello and prosecco … and now that you’ve combined them, I heart you too! 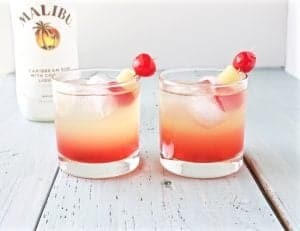 I will be making some of these delightful cocktails this weekend! Oh that’s fantastic! I think it’s my new favorite drink. I hope you do try it! Thank you Thalia! It is so yummy!! LOVE limoncello and prosecco but never combined the too. How very Italian! And delicious too.